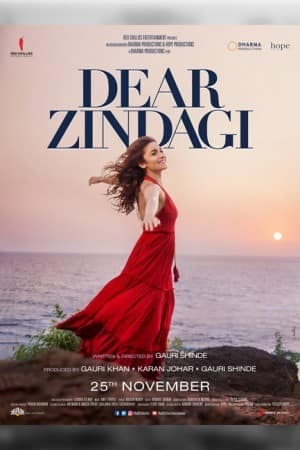 Dear Zindagi – translation – Dear Life is an Indian comedy-drama movie which will be releasing on 23rd November 2016 and the movie is directed by Gauri Shinde and produced by Gauri Khan, Karan Johar and Gauri Shinde under the banner of Red Chillies Entertainment, Dharma Productions and Hope Productions. 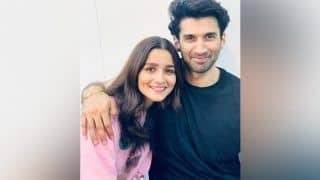 The movie has many prominent actors of Bollywood and the cast consist of Alia Bhatt, Shah Rukh Khan, Aditya Roy Kapur, Kunal Kapoor, Tahir Raj Bhasin, Ali Zafar, Angad Bedi, Siddharth Shukla and Ira Dubey. 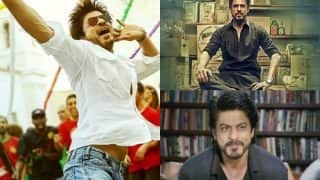 Alia Bhatt will be portraying the role of Kaira whereas Shah Rukh Khan is portraying the role of Jehangir Khan aka Jug. The principal photography of the movie began in early 2016 and was completed in May 2016. The film is scheduled to be released on 23 November 2016 in the United States, two days before its worldwide release on 25 November 2016. The movie revolves around the young, lively and fabulous girl, who falls in love thrice. Each time, she gets a different perspective on life. 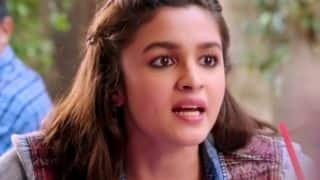 Kaira (Alia Bhatt) is a budding cinematographer, who is in search for a perfect life. 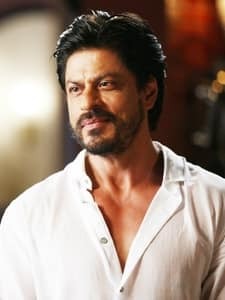 She accidentally meets an unconventional thinker Jag (Shahrukh Khan), whom she calls 'jug'. He helps her to change her perspective towards life. 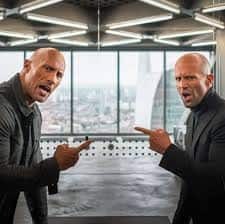 The teaser of the movie was released in October 2016. 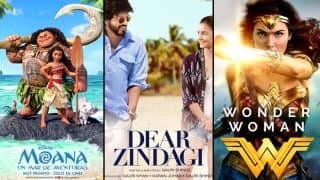 Dear Zindagi teaser has received thumbs up from critics and audience. 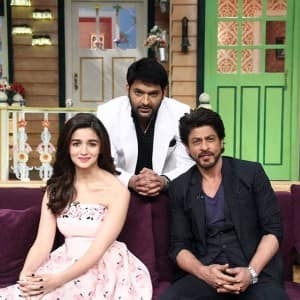 It is for the first time that Alia Bhatt is sharing screen space with Shah Rukh Khan. 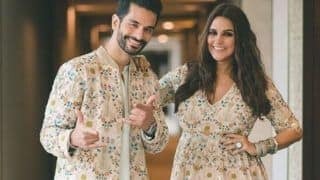 Although both of them made cameo appearances in Karan Johar's Ae Dil Hai Mushkil, they did not share the screen space. 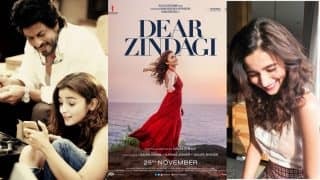 The story of Dear Zindagi revolves around Alia Bhatt. 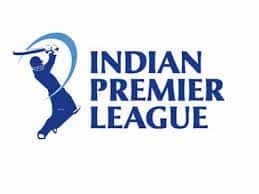 In a real aspect, it is reported that Alia Bhatt is the hero of the movie and Shah Rukh Khan will be playing the role of Aliya’s coach in the movie. 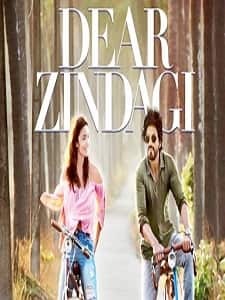 In November, it was reported that Shah Rukh Khan has a cameo in the movie Dear Zindagi and there won’t be any love angle between Shah Rukh Khan and Alia Bhatt in the movie. 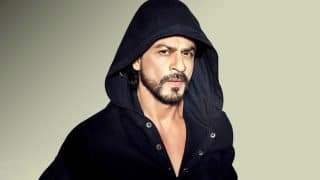 Shah Rukh Khan will be playing the role of a life coach to Alia Bhatt. 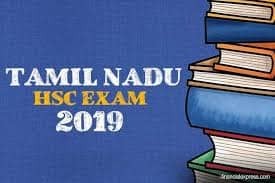 The music of the movie has been completed by Amit Trivedi. 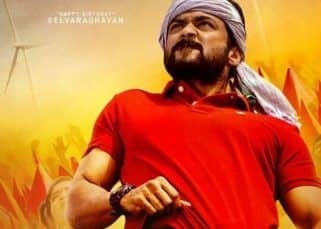 There have been three movie teasers of the film released and it has been able to create enough buzz about the movie. 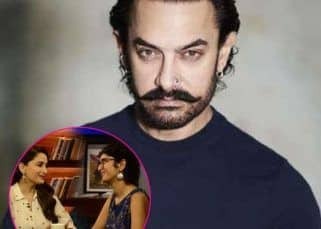 The teaser of the movie has been trending on all the social media and there is a lot of expectation from the movie as the director of the movie Gauri Shinde has been successful in her Bollywood career with movies like English Vinglish. 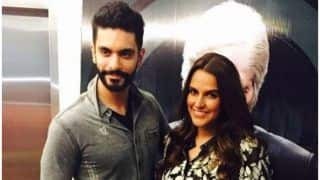 She has also been featured in Financial Times 2012 list of ’25 Indians To Watch’ as well as Rediff’s list of ‘Bollywood’s 5 best directors of 2012’. 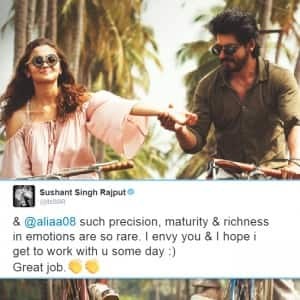 The movie has also been able to create a buzz with the part where SRK and Alia were cycling and Alia fell off the cycle. 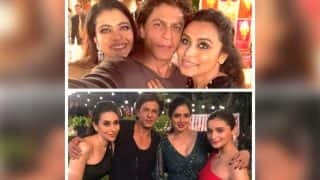 This scene became very popular as it is actually inspired by a real-life incident that occurred on the set of Kuch Kuch Hota Hai where Kajol on a similar occasion lost control of her cycle. The film is scheduled to be released on 23 November 2016 in the United States, two days before its worldwide release on 25 November 2016. 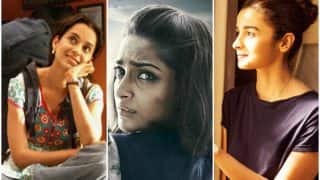 Alia Bhatt Birthday: 7 Childhood Pictures Of The Dear Zindagi Actress You Shouldn't Miss! 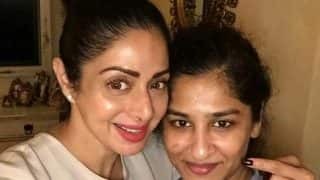 Sridevi To Team Up With Gauri Shinde For The Sequel Of English Vinglish? 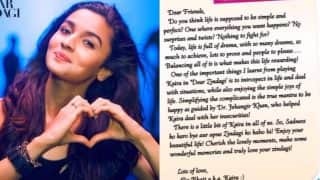 Alia Bhatt's open letter will make you fall in love with zindagi once again! 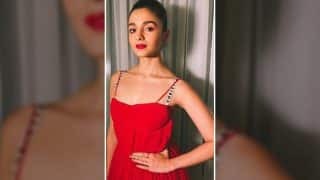 Alia Bhatt stuck with drunk bodyguard in car late at night! Here's what happened! Alia Bhatt’s subtle play of style at the Hello! 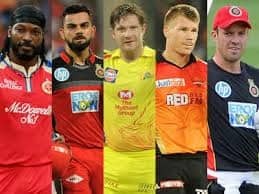 Hall Of Fame Awards 2017 is outstanding! Alia Bhatt birthday special: 15 styles of Alia Bhatt to inspire the fashionista in you! Alia Bhatt at Zee Cine Awards 2017: Badrinath Ki Dulhania actress makes jaw-dropping appearance in saree! View Pics!